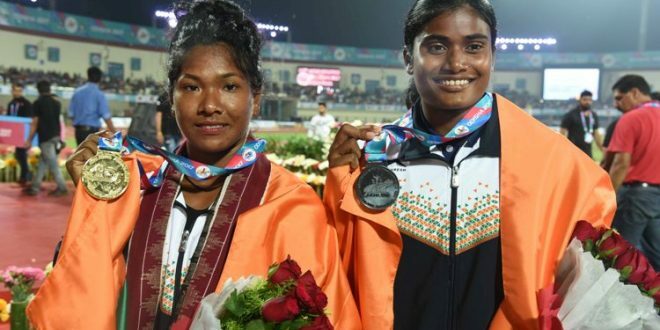 Bhubaneswar: Odisha Chief Minister Naveen Patnaik on Monday felicitated the Indian Athletes who bagged medals at the 22nd Asian Athletics Championships (AAC) held at Kalinga Stadium. The gold medal winners were awarded Rs 10 lakh, Rs 7.5 lakh for the silver medal and Rs 5 lakh for the bronze medal. A special award was given to Neeraj Chopra, Javelin thrower, who created a Meet Record of 85.23 meters. 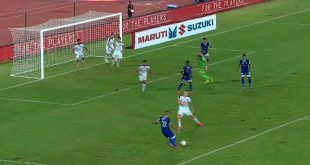 “The performance of the Indian team at the championships has been icing on the cake. 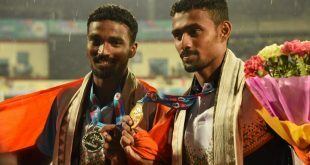 All of us are extremely proud and delighted that India not only topped the medal table but also registered its highest ever medal tally as well as highest ever haul of gold medals in the 44 year history of Asian Athletics Championships,” said the Chief Minister. India took the top spot in the medal standings with 29 medals that include 12 gold, 5 silver and 12 bronze. 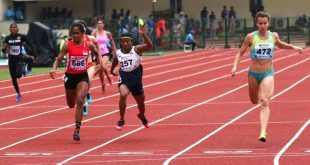 Jabir MP, Bikas Gowda, Jinson Johnson, Jisna Mathew, Sheena N V, Annu Rani, Purnima Hembram, Merlin K Joseph, Dutee Chand, Himashree Roy and Srabani Nanda.